The latest issue of Nashville Lifestyles lists the 50 best restaurants in Nashville, and it is an impressive grouping. In the past couple of years, the city’s food scene has exploded. 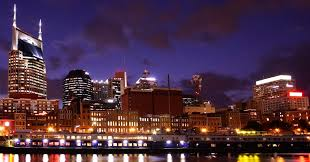 This is the city – the Nashville city. People may think that this area is all about Cracker Barrel and collard greens, but some of the nation’s top chefs work their craft around here. I don’t consider myself a foodie, but I like food. That means that I have been to several on the list. The magazine ranks the Top 10 and offers the next 40 in alphabetical order. For the purposes of this post, I will write a few sentences about my experiences at the Top 10 and give a three word synopsis for the rest. 2. The Catbird Seat – I wrote and entire post about my experience at The Catbird Seat, so I will just go ahead and link it. This is a place that everyone should experience at least once. 4. F. Scott’s Restaurant and Jazz Bar – An ex-girlfriend and I had an interesting experience at F. Scott’s. There was an appetizer that I liked, but she didn’t. It’s a story that needs a post all its own. I promise that it will be coming next. 5. City House – This is a great restaurant with an industrial atmosphere. I have been once and want to go back as soon as I can. 6. Capitol Grille – Located in the historic Hermitage Hotel, this restaurant is a classic dining experience. The food is great, and you are surrounded by history. When the Tennessee legislature approved the 19th Amendment, women got the right to vote. This is where the politicians met to work out that decision. 7. Margot Cafe & Bar – Great food. However, the best part is dessert that is served on dishes that belonged to the owner’s grandmother. 10. Kayne Prime – I am a fan of the M Street experience. Whiskey Kitchen is great. Virago is great. I am even a member of Citizen, the private club in the area. However, Kayne Prime is not my favorite steak place. And now, the rest of the restaurants. Eastland Cafe – my favorite one. Firefly Grille – small but great. Germantown Cafe – I’ve had better. Loveless Cafe – overrated country food. The Mad Platter – books for decor. Merchants – duck fried tots. Midtown Cafe – small but good. The Palm – the steak place. Park Cafe – just like Eastland. Prime 108 – company ruined it. Red Pony – cool little place. Sunset Grill – Henley’s song better. Tin Angel – fantastic Angel Wings. Virago – best sushi place. Watermark – not so good. If you are ever in Nashville, then you should check out a few of these places. There are other great restaurants not on the list, so you can’t go wrong. Just stay away from the chains. Like all cities, Nashville has some great locally owned restaurants. As I said, I am not a foodie, but one of my co-workers is. For great reading about food, click on her blog at Nashville Fork. Be warned, it will make you hungry. To finish our conversation, Arnold’s is a good meant’n’three–better than Sunset. It’s been on the Food Network. I need to go there. I’ve never even heard of it.